At Supreme Pressure Washing we realize that your home is a big investment! 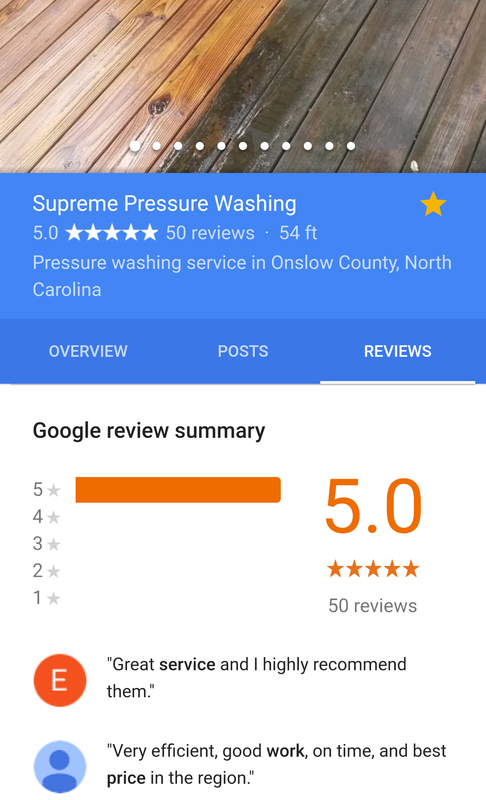 That's why we take all appropriate steps to ensure that your home is washed with our low-pressure "soft-washing" technique by a fully insured and experienced technician. This process guarantees that your home will be left looking like new, without risking damage to your siding, window seals, window screens, plants, and surrounding landscape. 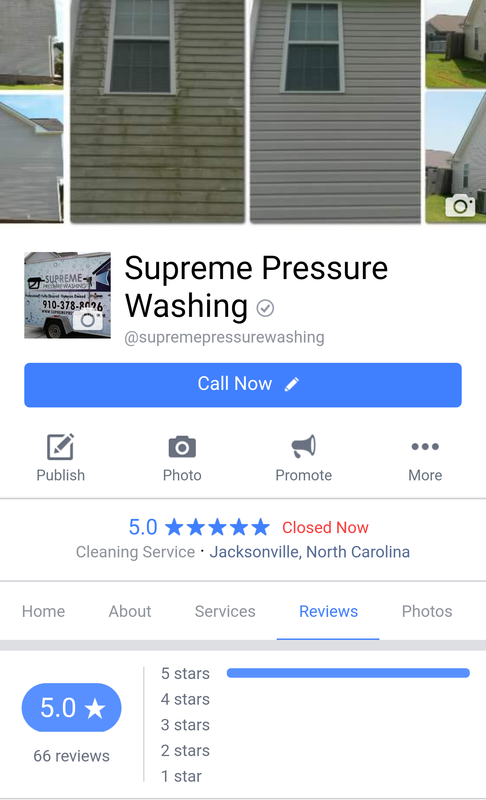 If you are looking for a professional, experienced, insured, and veteran owned company that takes great pride in providing outstanding customer service at an affordable price, call Supreme Pressure Washing today.